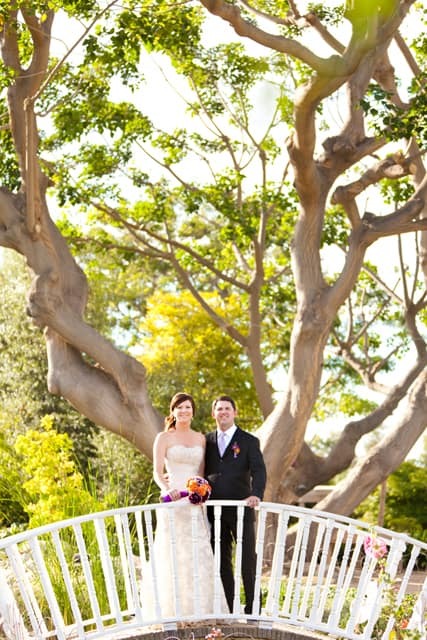 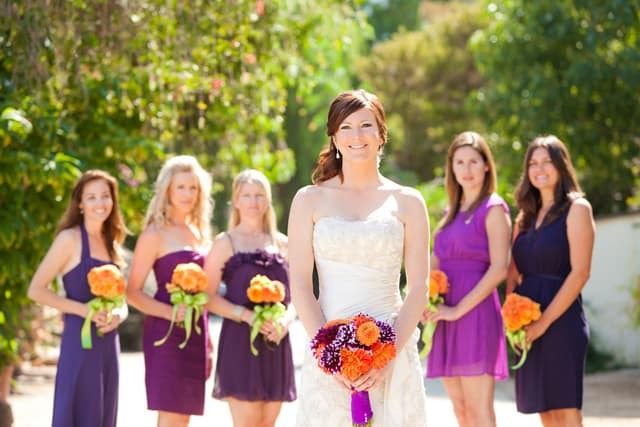 This early fall wedding took place at the South Coast Botanic Gardens in California. 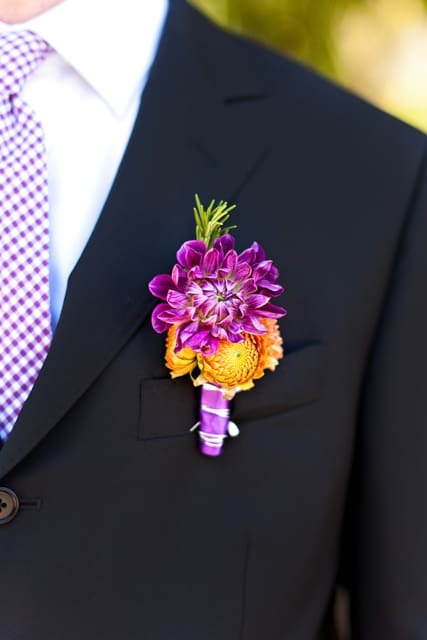 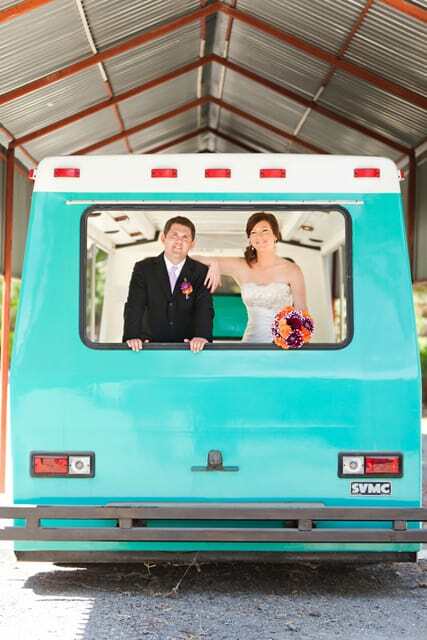 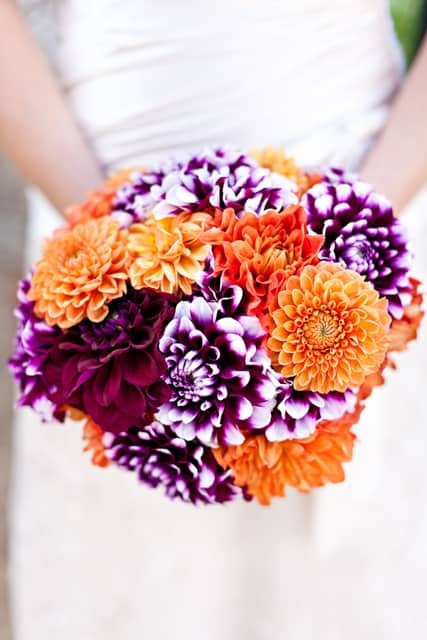 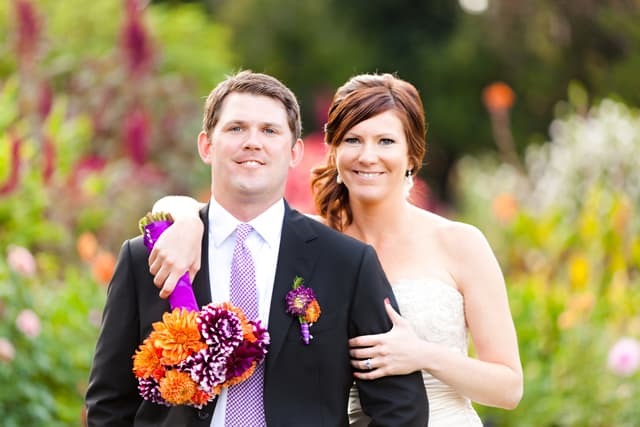 The purple and orange wedding details were so fun and cheerful which fit the couple’s personality perfectly. 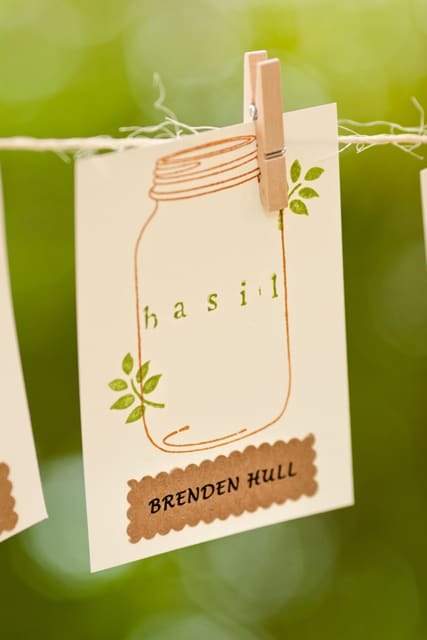 The details also had a bit of a rustic touch to them. 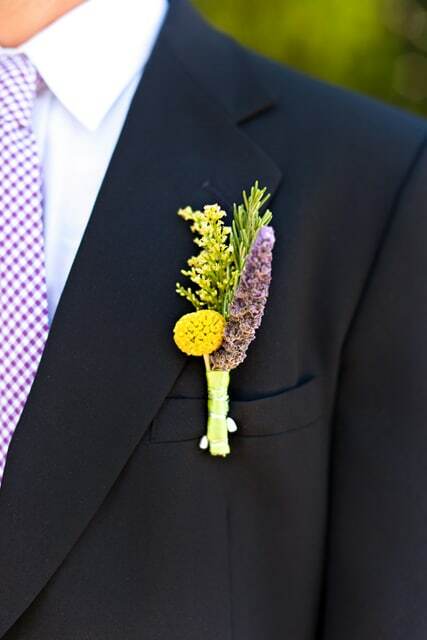 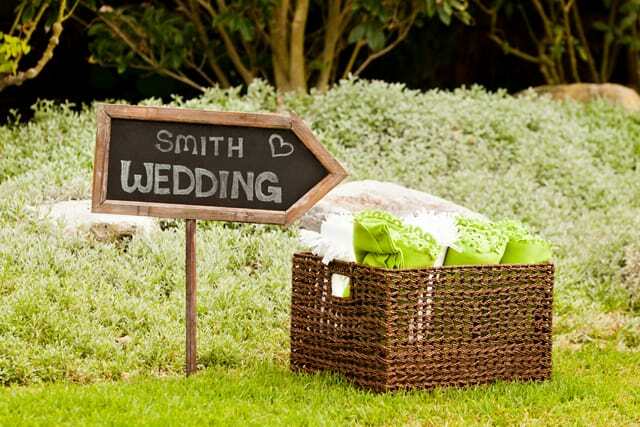 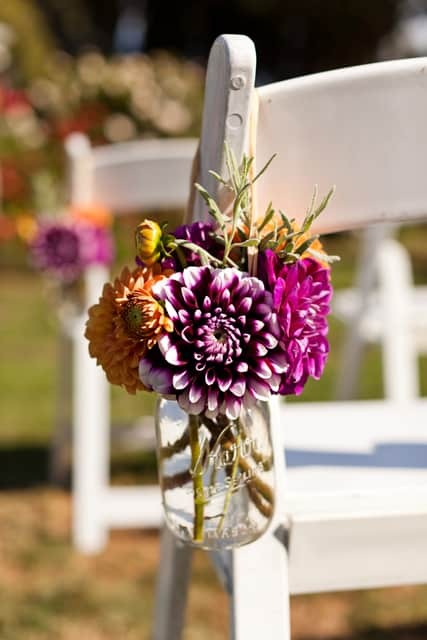 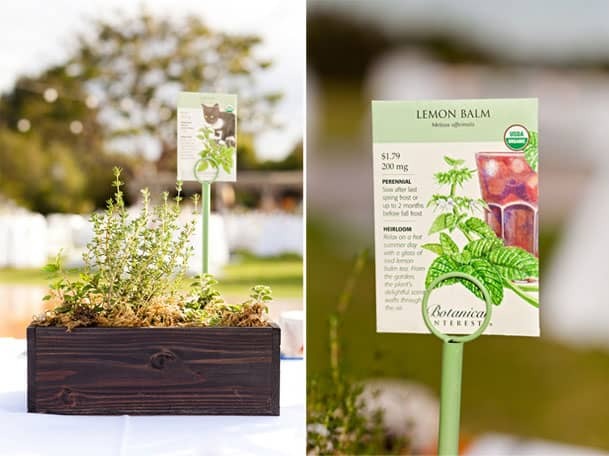 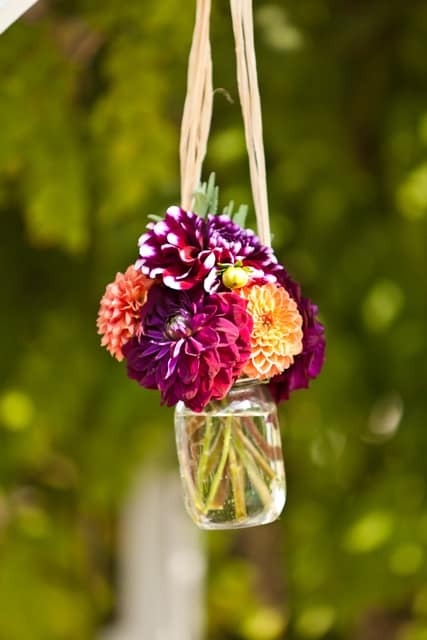 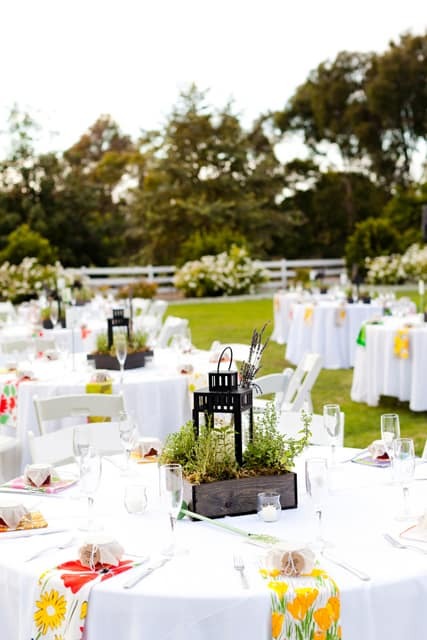 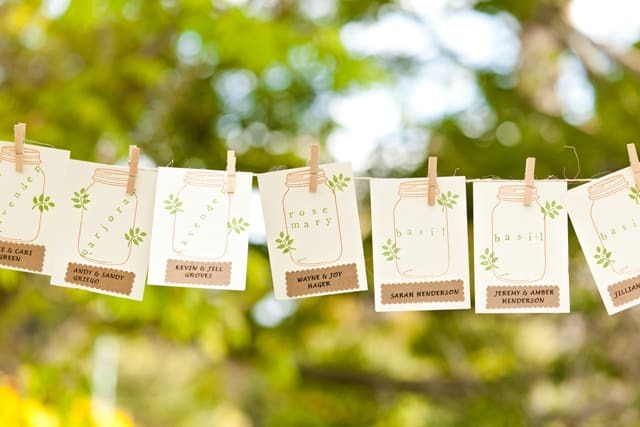 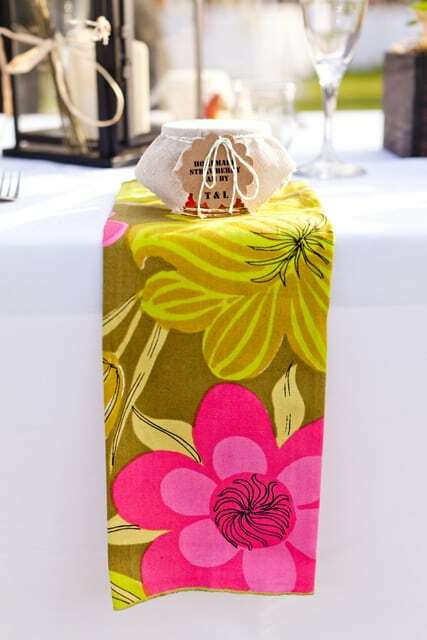 The couple chose environmentally friendly centerpieces; they used herbs instead of flowers. 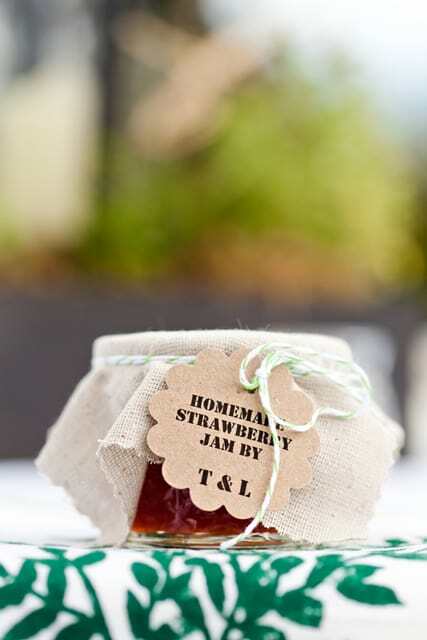 They also had homemade strawberry jam for guest to take home as favors. 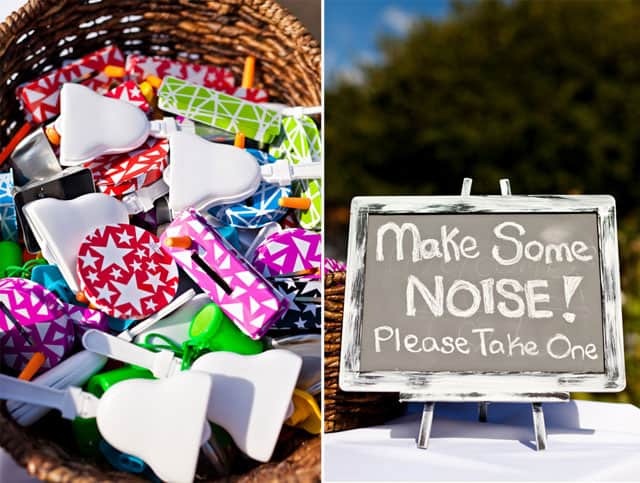 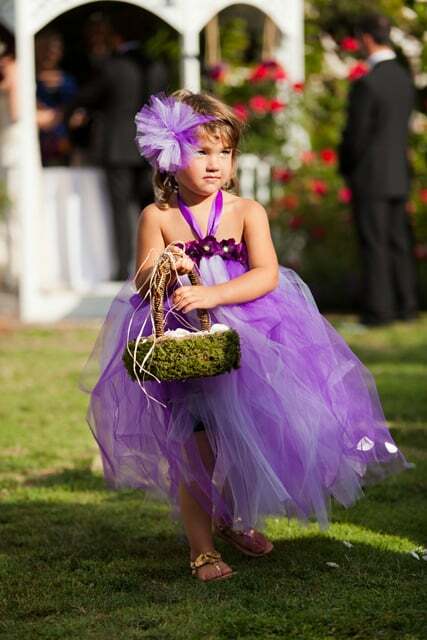 Check out the fun noise makers they had for their recessional! 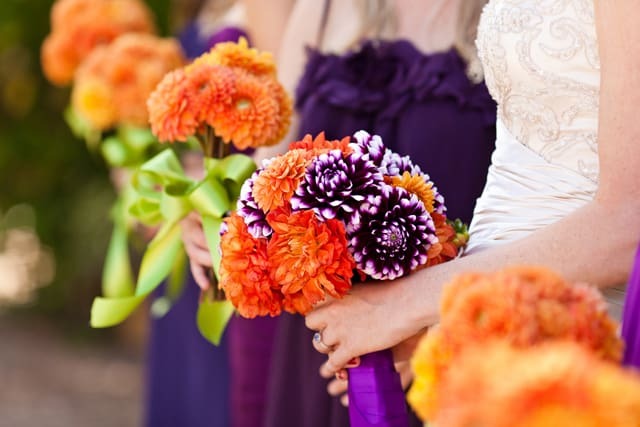 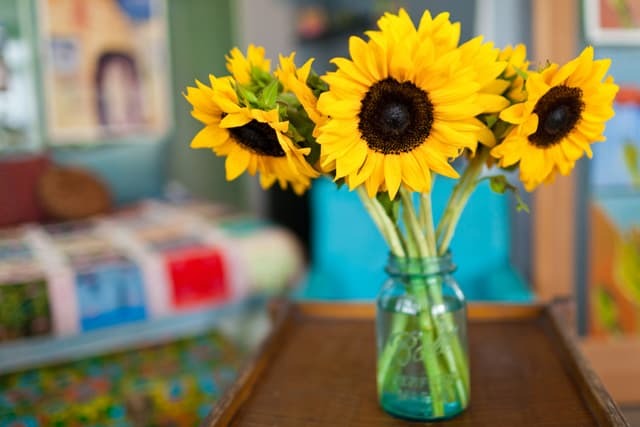 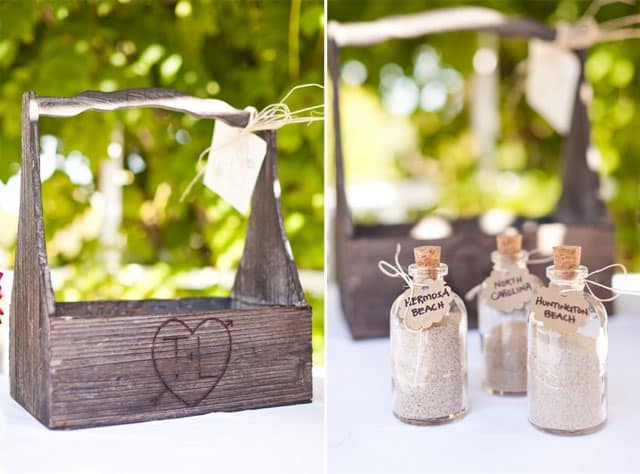 Enjoy these wonderful photos captured by Figlewicz Photography.